Vineyard located in the municipality of Mauves (Ardèche), this family estate is named after its former manager, on the occasion of the first commercialization of bottled wines in 1974. 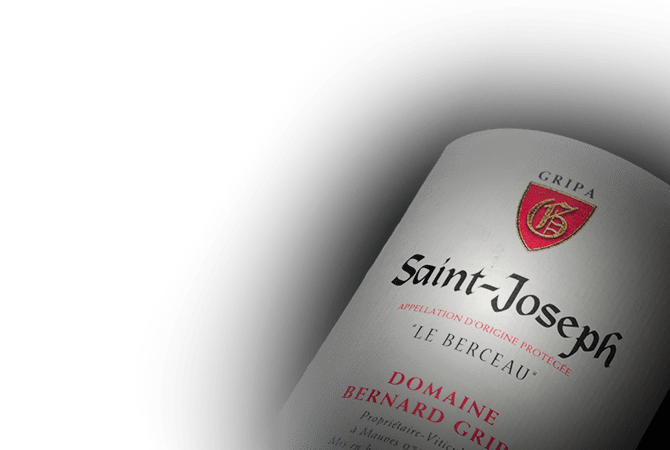 Bernard Gripa develops red and white wines of Saint-Joseph and Saint-Peray with excellent craftsmanship and unique style. The vineyard's 16 hectares are located on granitic soils that give minerality and aging potential to the wines, such as Les Berceaux, les Figuiers, Les Pins, and les cuvées maison. Today Fabrice Gripa, the son, presides over the destiny of the property with the same focus: originality and requirement.